For an 87-year-old one-(huge) hit-wonder, Harper Lee has been in the news a lot recently, from that time back in early May when she sued an agent for allegedly “duping” her into signing over the copyright to To Kill a Mockingbird six years ago, to her current lawsuit against a museum in her Alabama hometown for the “unauthorized use of the protected names and trademarks of 'Harper Lee' and 'To Kill a Mockingbird. '” Grab the popcorn because this story is about to go full-on litigious. Lee’s suit alleges that the Monroe County Heritage Museum in her hometown (Lee still lives in Monroe County) has been profiting off of her name and her extremely popular novel, To Kill a Mockingbird. Considering that the book, according to the lawsuit, still sells about a million copies a year, it’s not so far-fetched to assume there’s a big market in, say, having a Boo Radley haunted house tour, complete with real Robert Duvall guide. The museum seeks to profit from the unauthorized use of the protected names and trademarks of 'Harper Lee' and 'To Kill a Mockingbird.' It is a substantial business that generated over $500,000 in revenue for 2011, the last year for which figures are available. But its actual work does not touch upon history. 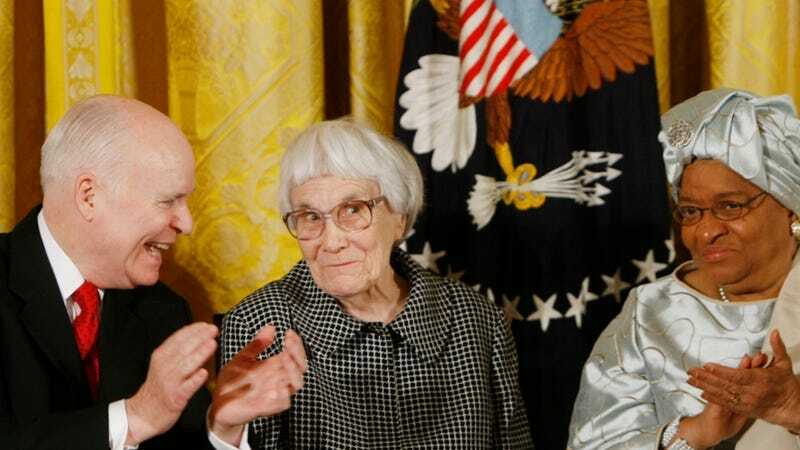 Rather, its primary mission is to trade upon the fictional story, settings and characters that Harper Lee created. According to CNN, the lawsuit seems to have a point: for starters, the museum’s website is www.tokillamockingbird.com, and it sells all sorts of Mockingbird-themed merchandise at its gift shop, the Bird’s Nest. A Birmingham-based attorney, perhaps capitalizing on the year’s earlier story of Lee being “duped” by an agent with dubious intentions, has seen fit to insinuate that Lee is once again being led into a litigious bramble patch by “greedy handlers,” which is a shame because all the non-profit Monroe County Heritage Museum wants to do is honor Lee’s work with a commemorative pair of Boo Radley googly eyes, or an Atticus Finch “Best Dad in the Universe” coffee mug. Tawdry gift store gewgaw is how we keep great literature alive, people.